A ghost insurance policy helps self-employed business owners satisfy insurance coverage requirements. A ghost insurance policy is a workers compensation policy where the owner is excluded from coverage and there are no additional employees for the business. This type of policy is really not designed to provide actual workers' comp benefits unless the employer hires employees or becomes liable for an uninsured subcontractor. A ghost policy is typically purchased by a subcontractor to satisfy coverage requirements of a general contractor or other entity hiring the subcontractor. Ghost policies are not available in all states. Why Would I Need a Ghost Policy? The most common reason for buying a ghost policy is to satisfy some requirement to provide a certificate of insurance to a general contractor or other company. Generally, a small contractor will win a bid to perform work, but will be required to provide proof of coverage prior to starting the job. The whole concept of a ghost policy is to ensure a sub-contractor has some sort of coverage in place in case they hire employees or another uninsured subcontractor to assist with a job. Ghost polices are strictly a form of self-employed workers compensation insurance. There are a large number of small contractors and/or sub-contractors who do not have any employees and who do not want to pay higher premiums for coverage on themselves. A ghost policy is the cheapest way for self-employed business owners to get a workers comp policy. How Does a Ghost Policy Work? The term ghost policy refers to the fact that the workers comp policy basically provides no "real coverage". It is a minimum earned policy whereas the owner is excluded from coverage on the Acord 130 Form and there are no active or anticipated employees for the policy period. A minimum earned policy is a policy that includes the standard state expense constant and the insurance companies minimum required premium for a policy. This type of policy is usually significantly cheaper than a policy where the state required minimum owner wages are applied to a policy. Here's a quick example: Let's say you're a small carpenter in GA using class code 5645 with a rate of 75.87 per hundred. The current minimum payroll for a sole-proprietor in Georgia is $47,000. The minimum for owners of a corporation or LLC is $46,800. How Much Will a Ghost Policy Cost? 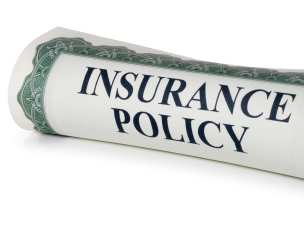 There are a few private insurance companies that quote ghost policy insurance in select states. However, most ghost policy coverage is written through the state insurance fund. In some instances, self-employed business owners may be better off including themselves for coverage instead of purchasing a ghost policy. One primary reason is that you will actually have coverage in the event of an injury. Additionally, there are more insurance company options available and you could qualify for a better payment plan. Finally, depending on your class code and workers compensation rates, the overall cost of coverage might not be much more than a ghost policy. * If you are located in a state where ghost polices are not available contact one of our specialist to see if your business qualifies for one of our standard programs for self-employed workers compensation insurance. How Do I Purchase a Ghost Policy? Like any other workers compensation policy, a ghost policy is for a period of one year. Ghost insurance should only be purchased by self-employed business owners with the following characteristics: (a) no employees or plans to hire during policy period, (b) no payments to uninsured subcontractors, and (c) no payroll of any kind aside from the owner(s). Ghost policies are subject to audit and if any additional exposure is determined the policyholder will be on the hook for additional premium, or audit balance. Contact one of our Workers' Compensation Specialists today at 888.611.7467 to learn more about our ghost policy programs and other insurance products and services. There are several benefits to buying a ghost workers comp policy. Self-employed business who purchase ghost polices might save a fair amount of money over a standard work comp policy. Fortunately, a ghost policy satisfies most contract requirement for various contractors and allows an insurance agency to issue certificates of insurance on behalf of the insured. The second benefit is that the policyholder should have automatic coverage under the policy for any employees or uninsured subcontractors hired during the policy period. It is important for business owners to understand that any additional employee wages or payments to uninsured subcontractors will likely result in additional premium due after a workers compensation audit is performed. Policyholders should contact their agent or insurance company to endorse their policy in the event an employee is hired during the policy period. Need a Ghost Policy for a Job? Find your best workers comp quotes. It takes 3 minutes. A lot of self-employed business owners buy ghost policy coverage each year. But if you hire employees or pay subcontractors during the policy period you may be subject to additional audit premium. If you are injured while acting as a subcontractor for another business that business may be liable for your claim and the cost of paying premium for any payments made to you. For more information on ghost insurance, contact one of our Workers Compensation Specialists today at 888-611-7467. Or start your WC quote online.